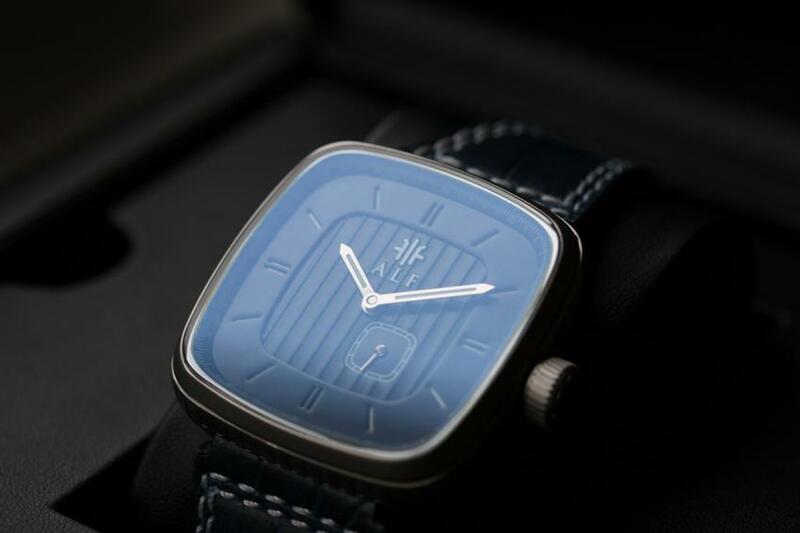 A new Swedish brand is making its debut on Kickstarter, Alf Watches with their Norsken collection. 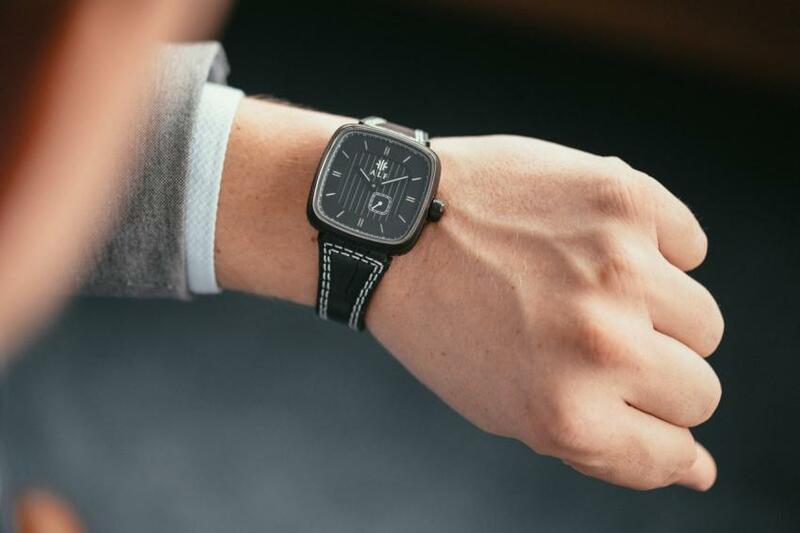 I first saw Alf watches on the Microbrand Watches Facebook Group about a couple of years ago when Samuel Petersson shared with us a few pictures from his first batch of prototypes. It has to be something about the design if I remembered it after all this time and when recently he came back to show us the latest iterations, he got my full attention. I wanted to find out more about Samuel and even as he was very busy preparing the Kickstarter campaign, he accepted my invitation to do an email interview. Please tell us a bit about yourself, what is your professional background? My name is Samuel Alfsson Petersson and I’m a 22-year-old business and engineering student from outside Gothenburg, Sweden. As you might guess from my young age my professional experience is quite limited apart from summer jobs during the school break. 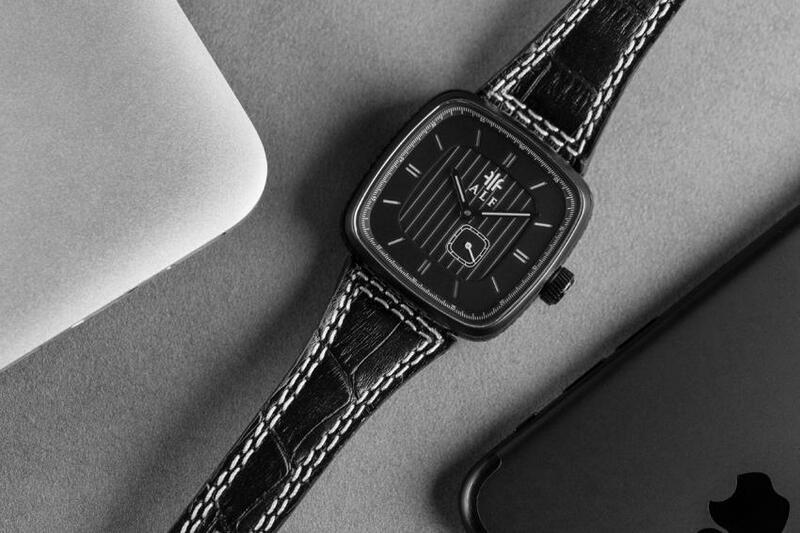 My most valuable experience, apart from starting Alf Watch Company, so far is working with social media and building a following around the brand “TheManliness” on Tumblr and Instagram. I started this on Tumblr when I was 16 years old and after two years I had over 100k followers and could make a living by advertising products to my followers. How did you get into watches in general? It’s hard to say how I first got into watches. Since I was about 12 years old I’ve always had an interest in watches from a pure design perspective and loved looking at a watch without knowing anything about the brand or the movement powering it just simply enjoying the design. When I started working with social media my interest in watches grew and started to get interested in the brands and the mechanics of the movement. This is when I bought my first “real watch”. I don’t remember the brand but it was a cheap dress watch with a Chinese automatic movement so it didn’t work for very long but I was hooked on watches by then. Do you have a watch collection? Tell us about your collection and which one is your favourite piece? I have a small collection of mostly micro brand watches that I’ve bought through Kickstarter. I have 3 diver watches at the moment, 1 pilot watch and 2 dress watches. My favourite piece varies but at the moment the Mori Brass Diver from Ventus watches is getting a lot of wrist time. Do you have a “grail” watch? Yes! The Patek Philippe Nautilus has always been my one of my favourite watches and if I could have any watch in the world it would be a Nautilus 5711. I just love the simple but yet distinct design that looks amazing with a more dressed outfit. What made you decide to start your own brand? As I said earlier, I used to work with social media and do advertising for different brands. Some of the watch brands I worked with were newly stared that had launched or would launch on Kickstarter. This meant that I got to know a couple of people that had their own brands and they inspired me to do something myself. At first, I thought it would be too hard to start my own watch brand since I knew it would require quite some money for a student, so I thought about some other business ideas. But in the end, I decided that I should do what I’m passionate about and decided to work part-time to finance the development and prototypes for the first model. Tell us about the new collection? How did you get to the design you are presenting to KS? What inspired Alf? From the start of my brand, I decided I didn’t want to be yet another “minimalistic” and “making luxury affordable” brand. I wanted to bring new, original designs to the market with great quality at an ordinary price point. From the start, I wanted to do a rounded square case that would be a mesh of both dressed and raw design. The dials are quite dressed in their looks while the case with the cut-outs on the side is a bit rawer. I worked together with a very talented watch designer that helped me bring my ideas into a producible watch. Since then there have been some changes to the design. At first, the sub second dial was in glass giving a glimpse of the movement inside. But after getting some initial feedback on the design I decided to drop this idea and have a cleaner dial. There have also been some changes to the strap and hands on the watch but most of it is the same as from the first draft. So far what was the biggest challenge you had to overcome as a brand owner? There have been many challenges along the way like finding a suitable factory for example, which took some time before we were happy with the quality. But in the end, it all comes down to not having the capital to do everything the easy way or fast way. Instead, I’ve had to do things the hard way and the slow way to save money which has been frustrating. But in the end, I’ve found a good factory and the prototypes are looking great so all the hard work and waiting have been worth it. 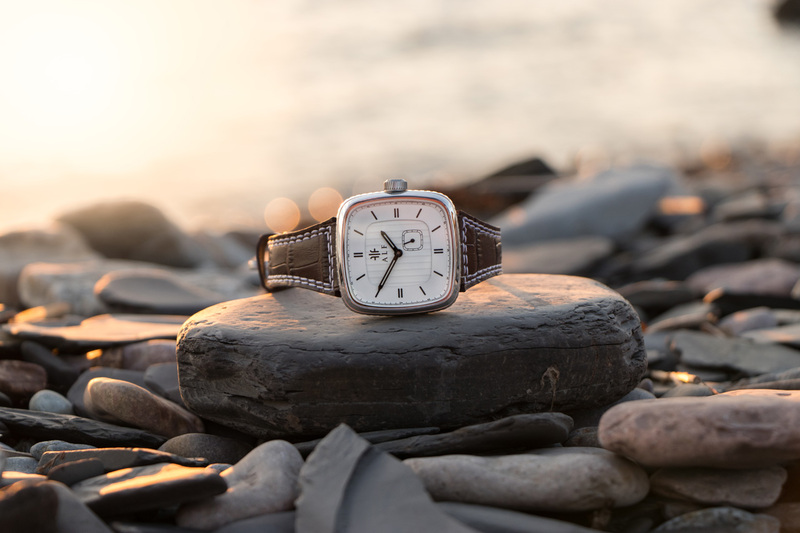 Where would you like Alf Watches to be in five years from now? I’m in this for the long run so, in five years, I hope Alf Watch Company is an established and appreciated brand in the watch world that is known both for its designs and its service. By that time, we should have at least five unique designs on the market and our watches would be on wrists all around the world. 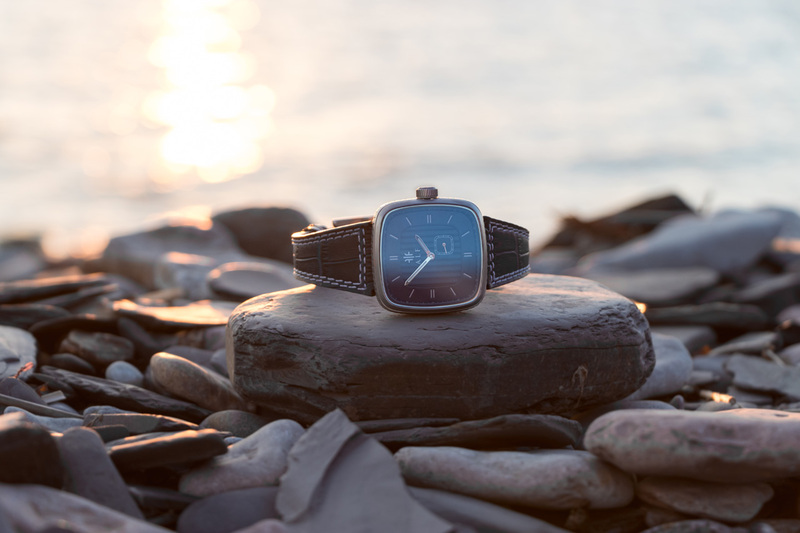 Last year, when this article was published and Alf Watch was in the middle of their first Kickstarter campaign, I expressed my worries about the extremely ambitious goal of SEK 600,000, which was CAD $92,000 at the time. Very high for a new brand. Unfortunately, I was right, despite a lot of interest, the project failed to raise the minimum amount in order to get funded. The good news is that Alf Watch is back with a new campaign, with a realistic goal of CAD $15,000. After only a few hours, the campaign has almost reached this minimum goal and I’m sure that this time, it will go ahead into production. 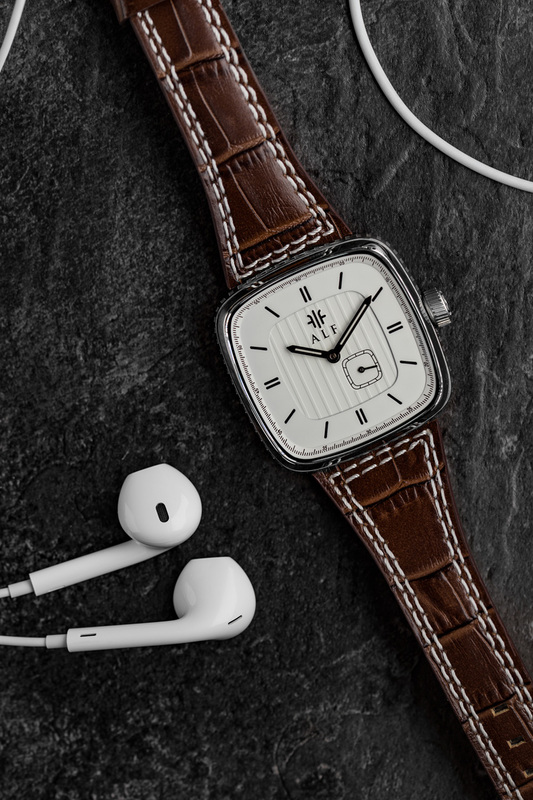 There are still a few early bird watches up for grab at a hefty discount — CAD $390 (299USD/249EUR).